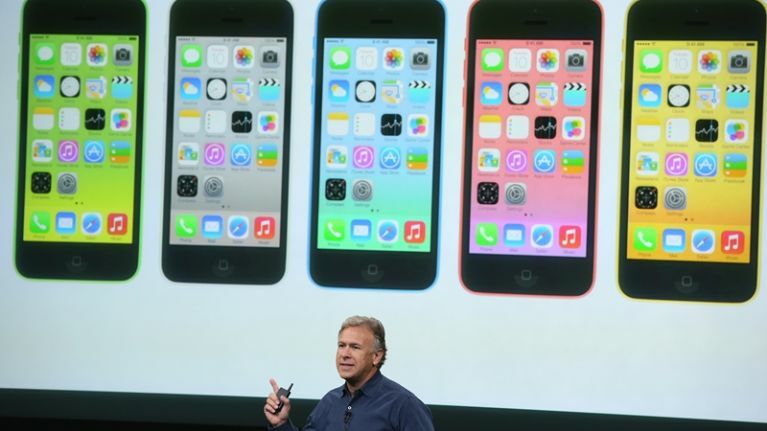 The big news from today's event is of course that the iPhone 5c will be released, and it's coming out in five different colours: blue, green, white, yellow and pink. The casing will be a single, sleek unit, and will have a 4 inch retina display, with integrated touch and widescreen video capability. There was also plenty of speculation about what kind of sacrifices they'd make on the hardware front, but the 8MP iSight camera is a pretty good piece of kit for their "budget" offering. 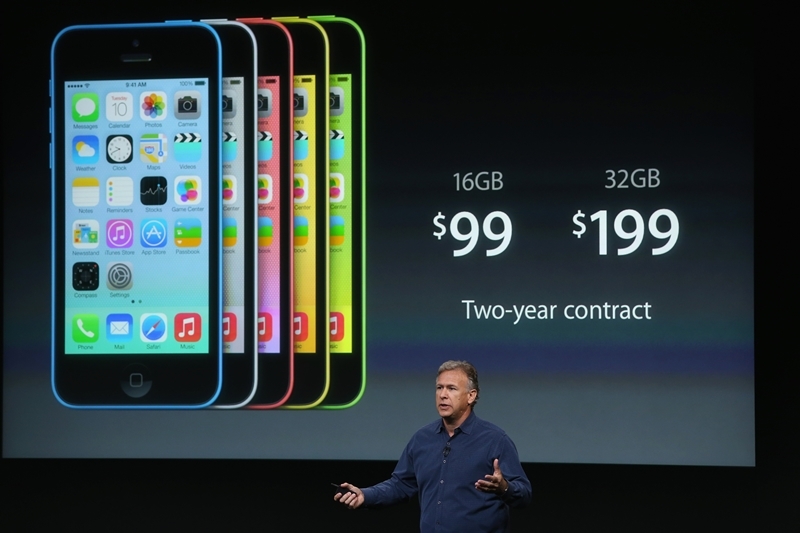 In terms of pricing, so far the American prices are all we have to go by but the iPhone 5c Will Cost $99 For 16GB or $199 For 32GB on a 2-year contract, which is not too bad we have to say. 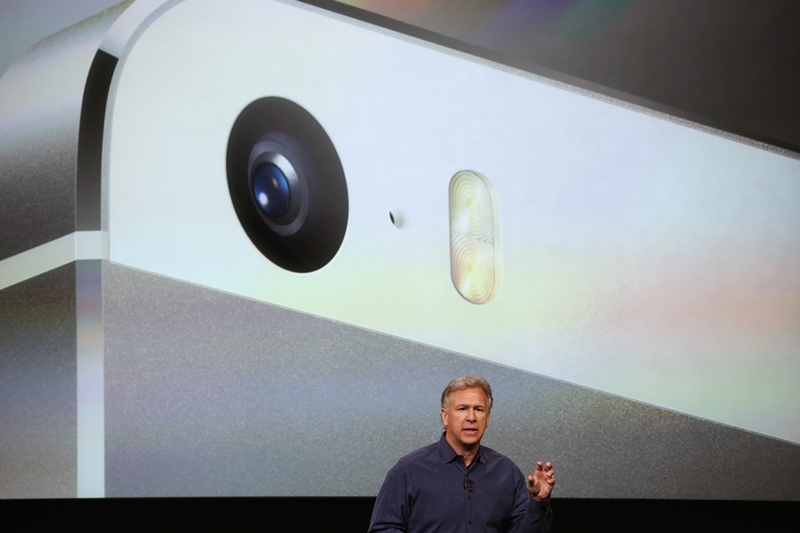 The iPhone 5S will also be released which will be the company's high end phone, and it has the hardware to back it up. 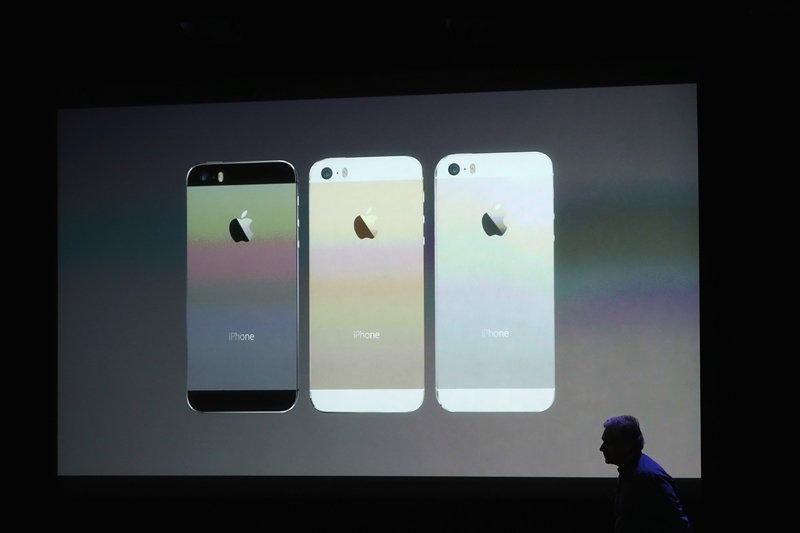 It will be made of high-grade aluminum and includes the new 64-bit A7 chip. To put that in perspective, it will be Apple claim, around 40 times faster than the original iPhone. The new flagship handset will also be released in various colours, slate, silver and gold, which will look pretty slick we're sure. It's a dual core processor, and while the Android users will still be claiming that their quad-core Snapdragon phones are the fastest out there, Apple will certainly have tweaked their settings to make sure that this feels like a huge improvement over previous models. They have also announced that the 5S will include a new motion sensor chip, the M7, which will work alongside the A7 and deliver more accurate motion information to your apps, of particular interest for those who use the iPhone to track their workouts and running routes, as they're promising a whole new generation of fitness apps as a result. In terms of battery life, they estimate that you'll be getting 10hrs talk time and 10 hours browsing. You can also expect a lot more from the camera on the new iPhone 5S, where, when you snap a picture, the device will take a few at the same time and you can pick the best one. That's not all though, as it seems that there's going to be the ability to record slo-mo video up to 120FPS, which means that those videos of your 5-a-sides can finally have that epic Sky Sports feel to them. The phone will also use Touch iD, using your fingerprint as security to unlock your phone so that you're not as easily fraped when you leave it lying around. 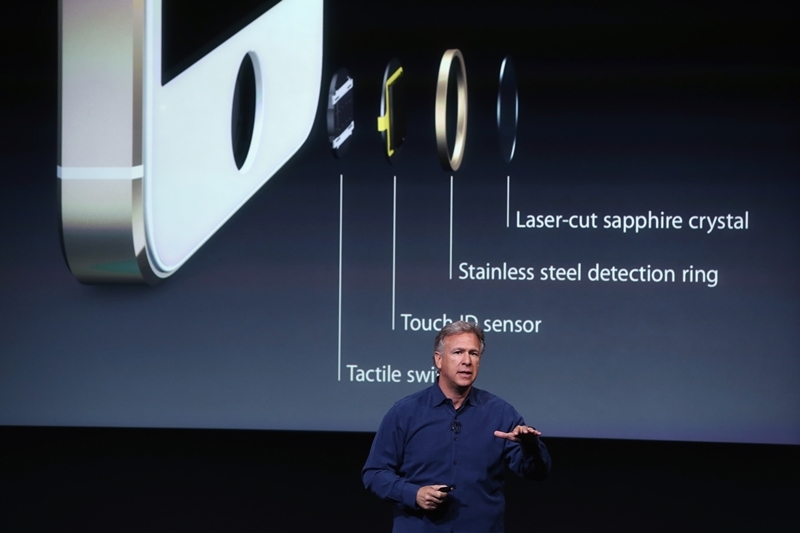 It claims to scan through the "sub-epidermal skin layers", whatever that means. Give it to us in plain English, we're not a doctor! Back to business, there will be a little ring around the home button which is the Touch iD sensor, so you don't need to press down on the home button, and it will be made of sapphire so it won't scratch. It will also allow you to make iTunes purchases without the need to input your password every time, which is a nifty little feature. For the security conscious out there, that fingerprint data is never uploaded to the cloud or stored on servers, but if we've learned anything from Men in Black it's that if you're really security conscious, you should burn off your fingerprints*. In terms of pricing, once again we only have the American numbers to go by, but it starts at $199 for the 16GB model, $299 for 32GB and $399 for the 64GB version. When it comes to release dates, there's also only the American info to go from yet but the iPhone5c pre-order starts September 13th, and both the 5S and 5C will be avaiale for purchase on September 20th. iOS 7 was also announced, and promises that downloading it will be like getting "a whole new device", which is quite a grandiose claim. It will be available for download from September 18th though, so it won't be long before you can all judge that for yourselves. The devices on which you can get the new OS are iPhone 4 & later, iPad 2 & later, the iPad mini and the iPod Touch 5th Gen. It will feature a new and much improved female voice for Siri too, and iTunes radio, the music streaming service from the lads at Apple, will also be included in the latest update. iWork will also now be free for everyone. 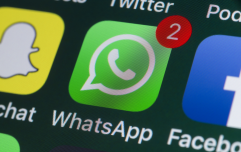 It was a big seller for Apple as it allowed you to stay productive on your mobile devices, but they've decided to make it free to expand the audience using it. Now, that's a whole heap of news all in one place, so once we've had time to digest it, we can dissect it and see what it all means, so keep an eye out for that in the JOE tech podcast later this week.